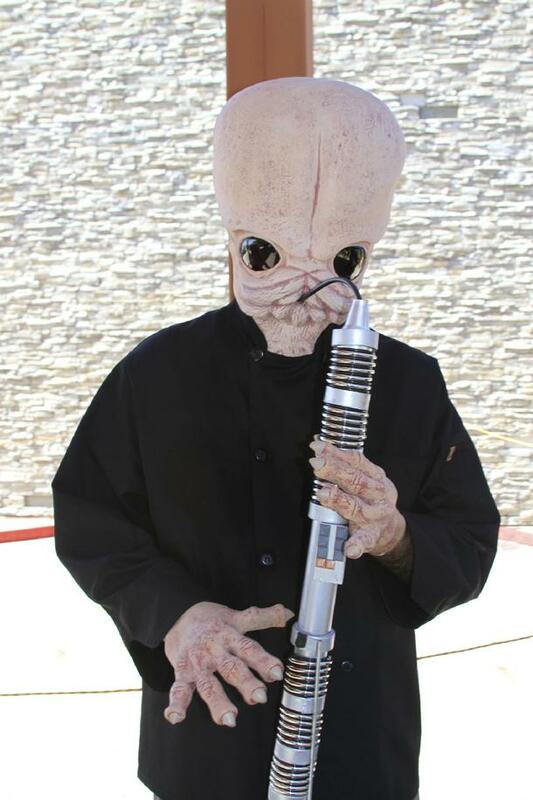 We are looking for guest soloists for the Occupy Mars Band. 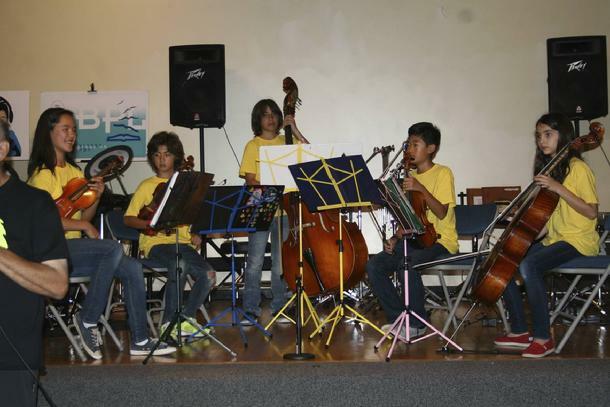 The Kids Talk Radio Sound Effects Orchestra has been touring libraries and science centers and they intergrate STEM and STEAM into their performances. This is a great way to integrate science and music. 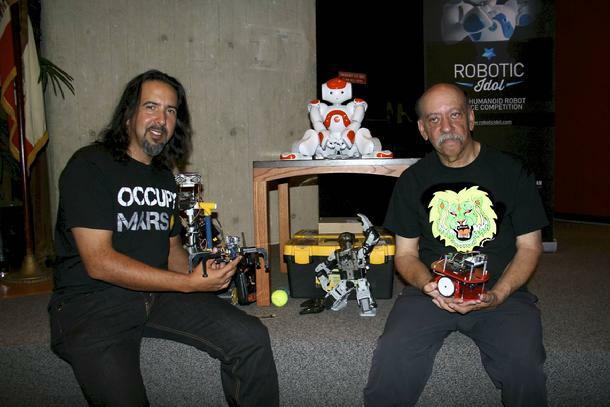 Educator, composer, and software designer Bob Barboza has written a new visual jazz opera called “The Occupy Mars Learning Adventures". 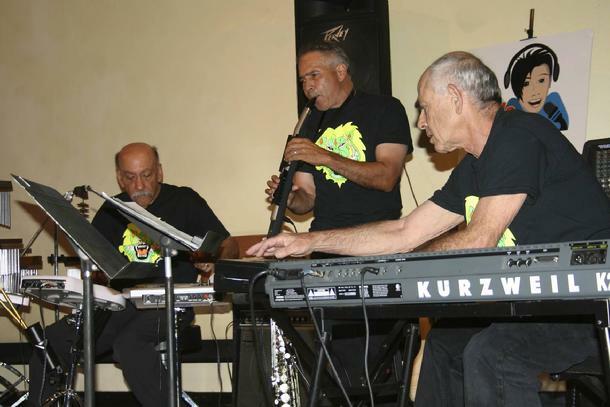 Barboza and his engineers, scientists and educator musicians, include robots, storytellers, and musicians in each of their performances. All the work is themed around science, technology, engineering, mathematics, visual and performing arts, computer languages, and foreign languages. Each planet has a unique series of time signatures. Performances feature humanoid and other robots, who tell the story of modern day astronauts traveling to all the planets in our solar system. The lead robot is NAO 2092, assisted by robots that follow his commands to monitor the space ship on a journey that ends on Pluto. The mix of technology, music and story draws children into a thrilling new world of space science and robotics. Who wants write for Kids Talk Radio Science and Engineering? NAO in the year 2059 controls space craft in jazz opera. Walter and Bob are getting robots ready for the concert. The Los Angeles Youth Orchestra getting ready before the concert. Conductors Susan Pascale and Bob Barboza talk about concert plans. 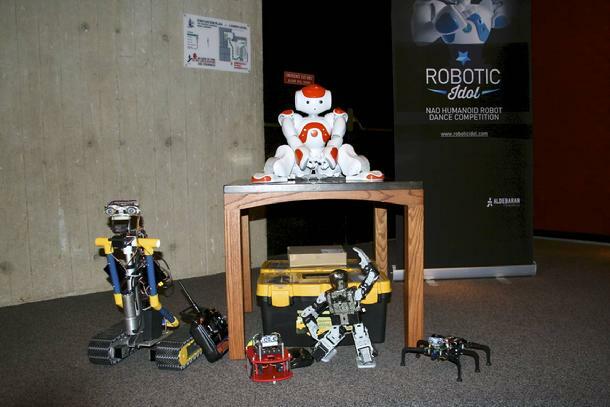 Robots and electronic musical sound effects instruments. 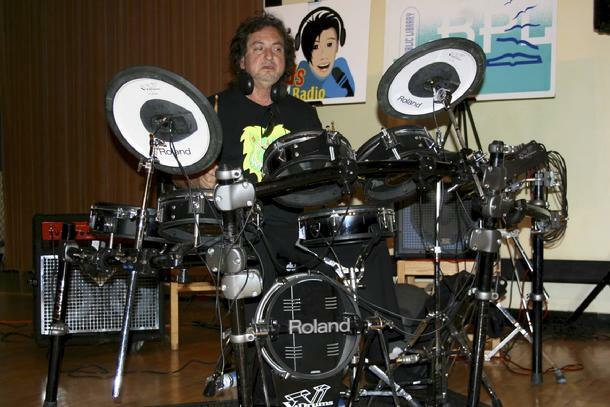 Jon Hartmann plays the sounds of Mars. 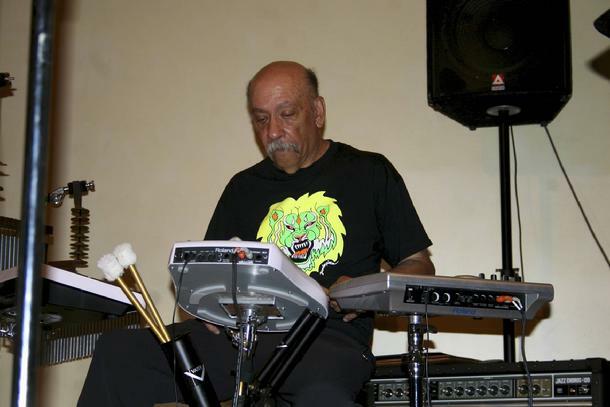 Bob Barboza creates the sound effects for traveling to the planet Mars. Ronnie Ciago creates the sounds for Occupy Mars sound track. Michael Morera creates the scary sound of outer space. Youth orechestra plays theme from Star Wars. Lauren and Bob play the sounds of deep space. 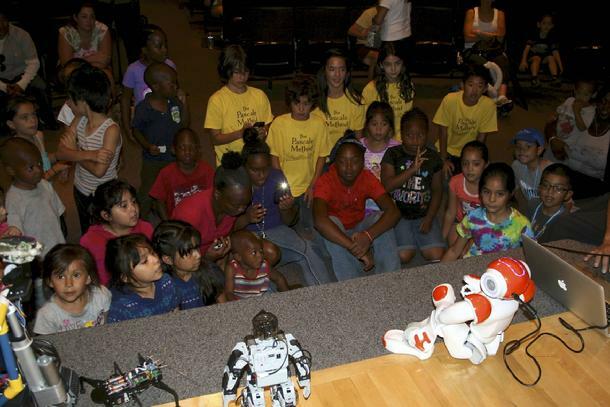 Kids have fun with robots at Occupy Mars performance at the Long Beach Public Library. 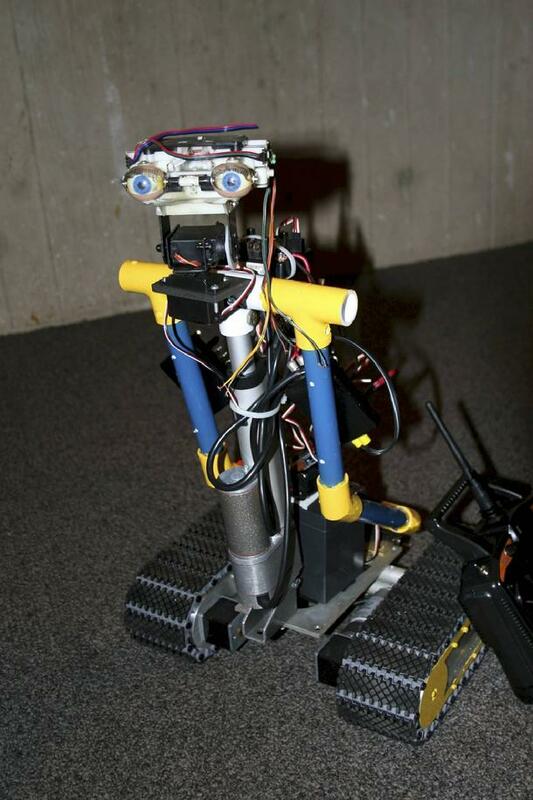 Bob Barboza has a robot called Nao playing the lead roll in the STEM musical Occupy the Nine Planets. This is a scene from the first movement Occupy Mars. The Kids Talk Radio tour goes to schools, libraries, museums and city parks. The new children's robot musical Occupy the Nine Planets is going to be a big hit with kids in elementary school that need to get excited about studying science. Bob Barboza creates the unique sounds of deep dark space travel with his unique collection of Tree Works chimes and Roland Handsonic percussion devices. 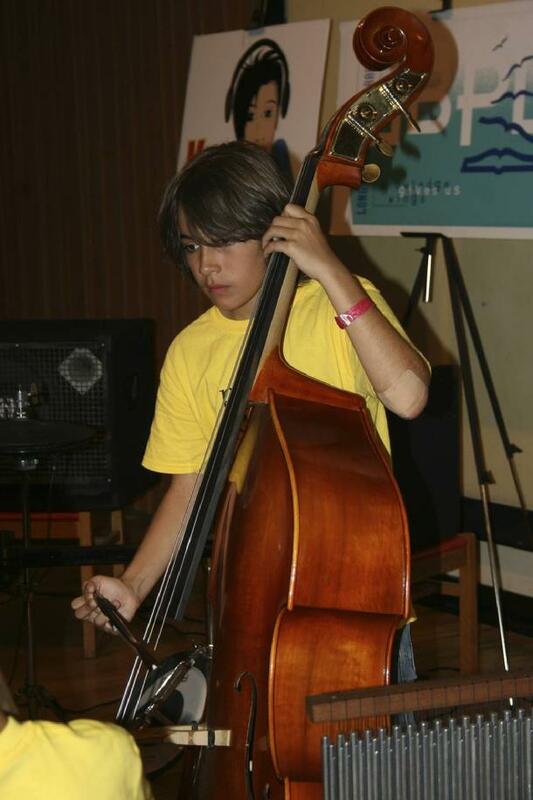 Kids Talk Radio is making it possible for classical and jazz musician to combine their talents to tell science stories about space travel with robots. 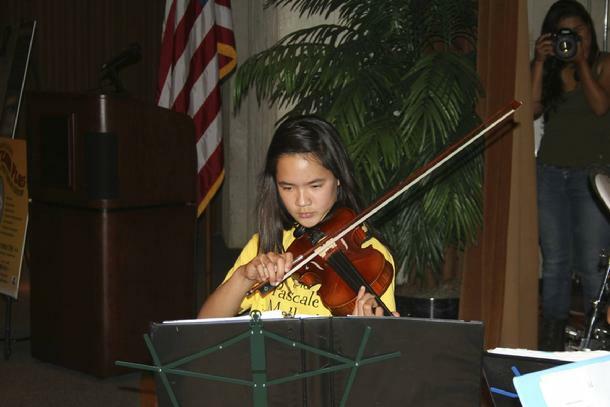 We are so lucky to work with some of the top students in Southern California. 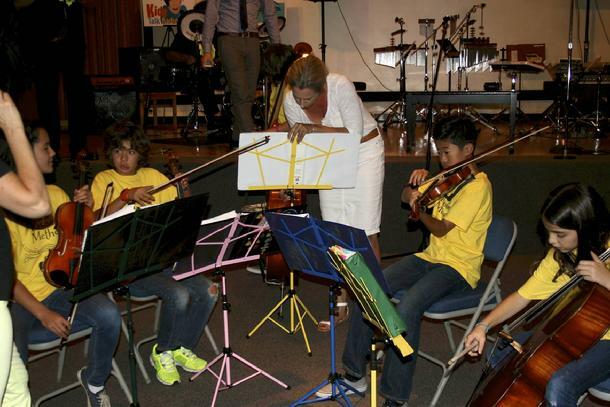 Keeping music alive in the schools was the wish of my partner Ingrid Pastorius. 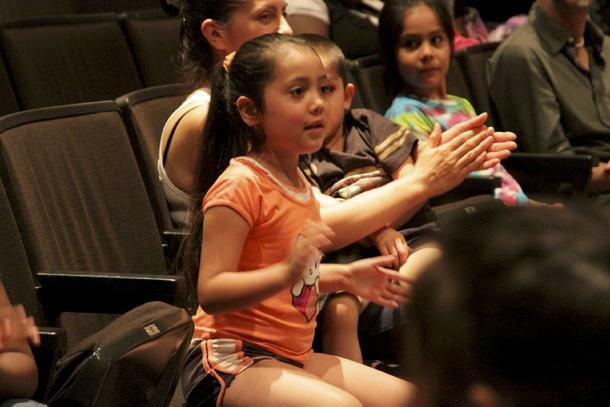 We are inspiring new generations of kids with our science based visual jazz operas. We dedicate this project to her memory. Bob Barboza, Lauren Boisdore and Walter Martinez promoting our robotic's program to educators, business leaders, city leaders and the Consul General of Cape Verde. 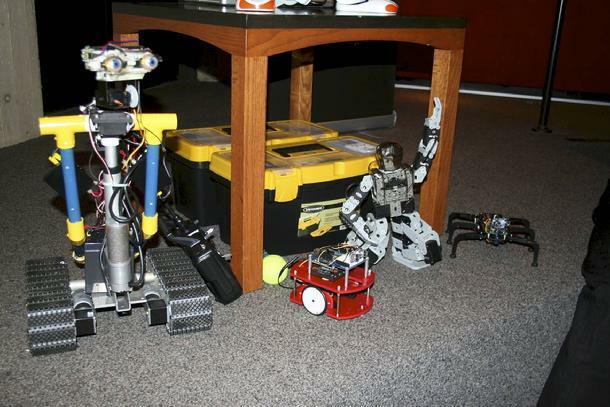 Robot kits used in the production of "Occupy Nine Planets." 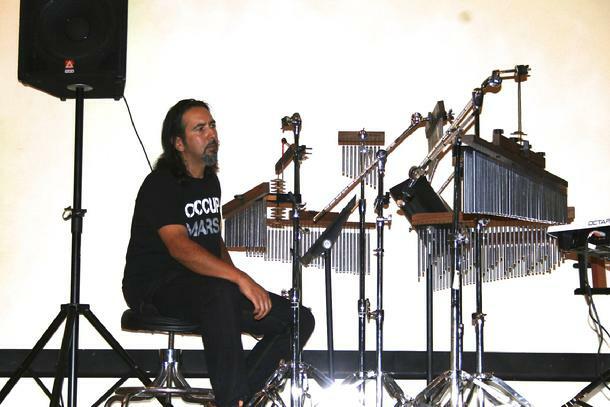 Walter Martinez plays chimes to create the sounds of deep, deep space on the six month trip to the planet Mars. Some of the same kids from the park tour came to the concert in the libary. Long Beach parents commented that this a great chance to check out books and give their kids a good summer science lesson while attending a concert. 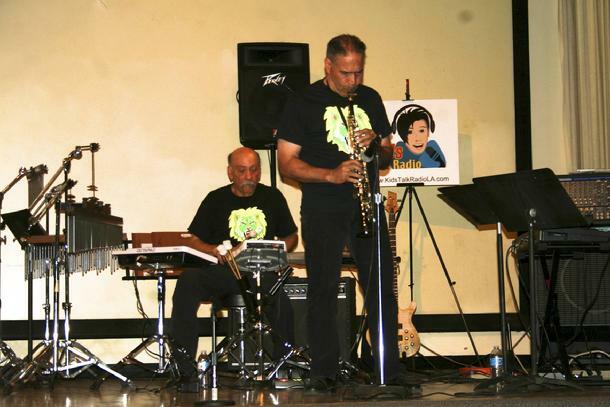 Bob Barboza has a passion for keeping classical music and jazz alive with very young children. 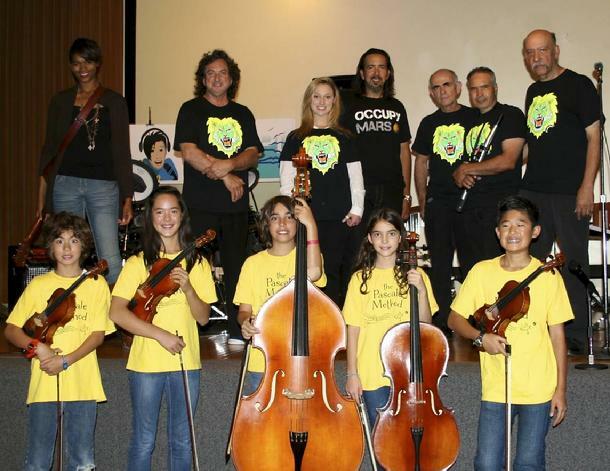 The Occupy Nine Planets concert and traveling exhibition is a good way of exposing very young children to music. 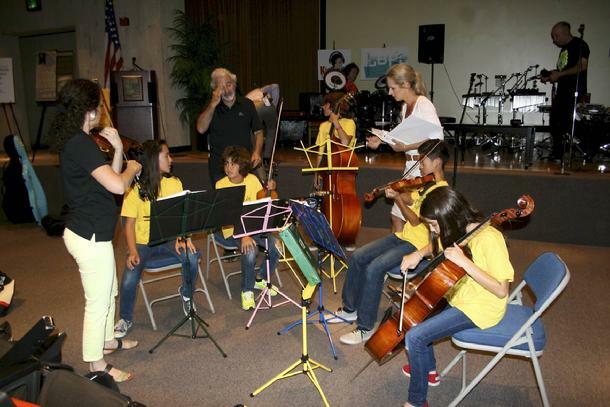 This is a photo of part of the Los Angeles Children's Orchestra based in Pasdena, California under the direction of Susan Pascale. 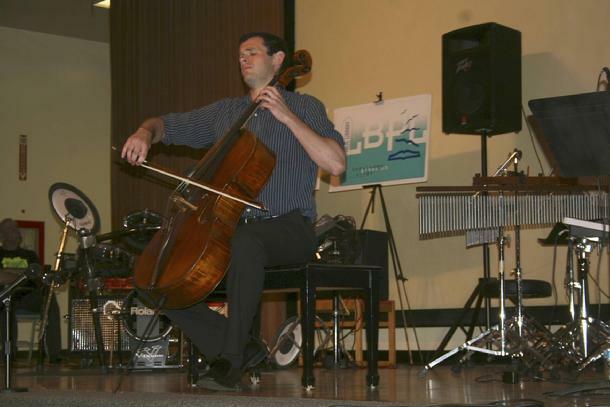 Our goal is to bring the classical and jazz players to the same production. 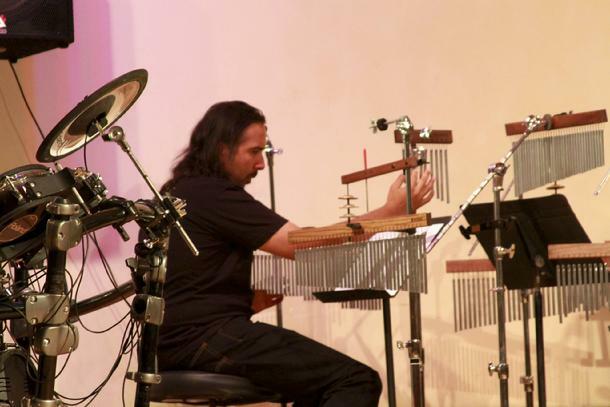 The first movement in our concert is titled "Occupy Mars" introduction played by Walter Martinez on accustic chimes. 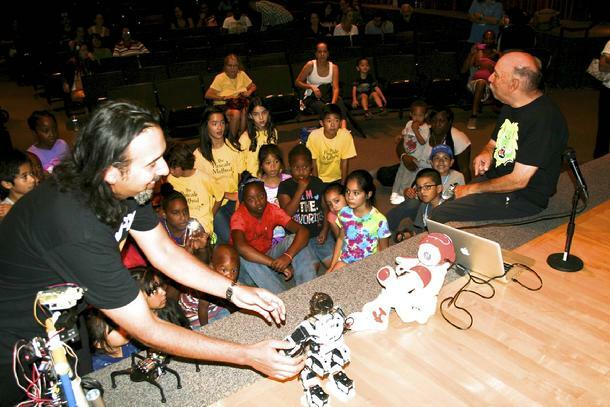 Walter Martinez and Bob Barboza have been traveling all summer promoting robotics to young children. They are geeting ready for the Kids Talk Radio Traveling Exhibition. These events are scheduled for schools, libraries and museums in the Southern California area. 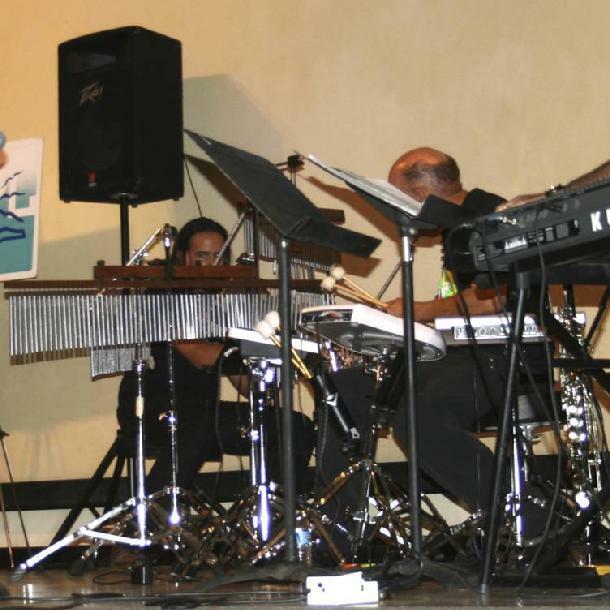 Composer/writer Bob Barboza is seen here with Walter Martinez playing the sound effects parts for "Occupy Mars" the first in a series of orginal composition written in odd time signatures for classical and jazz orchestra. 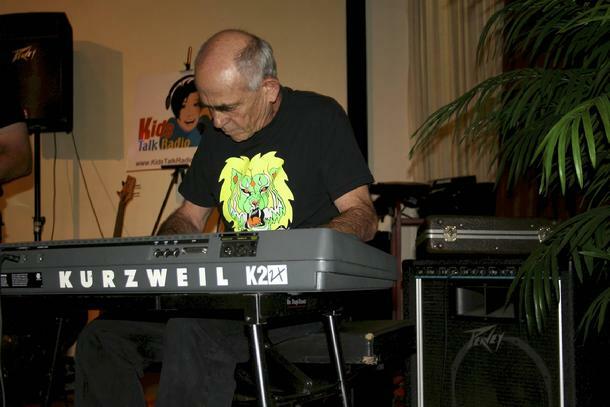 Bob studied composition at Los Angeles City College and studied the odd time signatures of the late Don Ellis.